”Voyager” spacecraft – FOP Shvachko V. V.
The «Voyager» program  is a United States project for study the distant planets of Solar System, that launched the unmanned space missions, scientific probes «Voyager-1» and «Voyager-2». Spacecrafts of «Voyager» series were created in the JPL (Jet Propulsion Laboratory) of NASA. These space vehicles – autonomous robots, equipped by power plants, rocket engines, computers, radio and control systems, and scientific instruments to study the outer planets. The total mass of each of the space vehicles is about 721 kg. «Voyager-1» was launched on September 5, 1977, it passed Jupiter in March 1979, it reached Saturn in November 1980. «Voyager-2» was launched earlier, on August 20, 1977, a slower path, and it flew past Jupiter in July 1979, by Saturn – in August 1981, Uranus was flew in January 1986, and Neptune – in August 1989. Feature of the trajectories of these spacecraft is that location of the outer planets of the Solar System allowed to use the swing-intensive maneuvers at the time of launch. Accelerated by the gravitational field of planets (once in 175 years the planets in our Solar System are arranged in a row), the spacecraft could fly around the planets with minimal fuel for acceleration and trajectories correction. – Opening of an active volcano on the surface of Io (Jupiter’s moon) – the first extraterrestrial volcano was discovered. – Opening of the rings of Jupiter, like the rings of Saturn. – The study of magnetic fields in space. – The study of cosmic rays. – Investigation of plasma waves. – In 2004, «Voyager-1» and in 2007 – «Voyager-2» crossed the one of limits of the Solar System, called “the solar wind termination shock” (the shock-wave boundary of the solar wind), located at a distance of about 100 astronomical units from the Sun. The spacecrafts delivered information about the structure of this shock wave. Project management is quite serious about the possibility of a meeting of representatives of extraterrestrial civilizations with the «Voyager» spacecrafts – the gold-plated copper phonograph records (30 cm in diameter) and devices for playback are present on spacecrafts. Audio and video are on the plates, which should give a presentation about life and culture on Earth. For example, there is a recording of thunder, wind, music, and greetings in different languages (there are records of so-called “dead” languages together with languages of modern people). Images are recorded in analog form. The «Voyager» project is considered as one of the most successful and efficient ones in the history of planetary studies. For the first time both «Voyagers» delivered high-quality images of Jupiter and Saturn, and for the first time «Voyager-2» reached the Neptune and Uranus. On February 17, 1998, «Voyager-1» went on the greatest distance from Earth of all the objects created by man. «Voyagers» went beyond the Solar System, and now their task – to help scientists determine the location of the heliopause, the boundary where the influence of the Sun is less than the influence of other stars. 1. Voyager – The Interstellar Mission. — Mode of access: http://voyager.jpl.nasa.gov/. 2. Voyager program. — Mode of access: http://en.wikipedia.org/wiki/Voyager_program. 3. Voyager 1. — Mode of access: http://en.wikipedia.org/wiki/Voyager_1. 4. Voyager 2. — Mode of access: http://en.wikipedia.org/wiki/Voyager_2. 5. Voyager Golden Record. — Mode of access: http://en.wikipedia.org/wiki/Voyager_Golden_Record. 6. Вояджер. — Mode of access: http://uk.wikipedia.org/wiki/%D0%92%D0%BE%D1%8F%D0%B4%D0%B6%D0%B5%D1%80. 7. Вояджер-1. — Mode of access: http://uk.wikipedia.org/wiki/%D0%92%D0%BE%D1%8F%D0%B4%D0%B6%D0%B5%D1%80-1. 8. Вояджер-2. — Mode of access: http://uk.wikipedia.org/wiki/%D0%92%D0%BE%D1%8F%D0%B4%D0%B6%D0%B5%D1%80-2. 9. Вояджер (программа). — Mode of access: http://ru.wikipedia.org/wiki/%D0%92%D0%BE%D1%8F%D0%B4%D0%B6%D0%B5%D1%80. 10. Файл:Titan 3E Centaur launches Voyager 2.jpg. 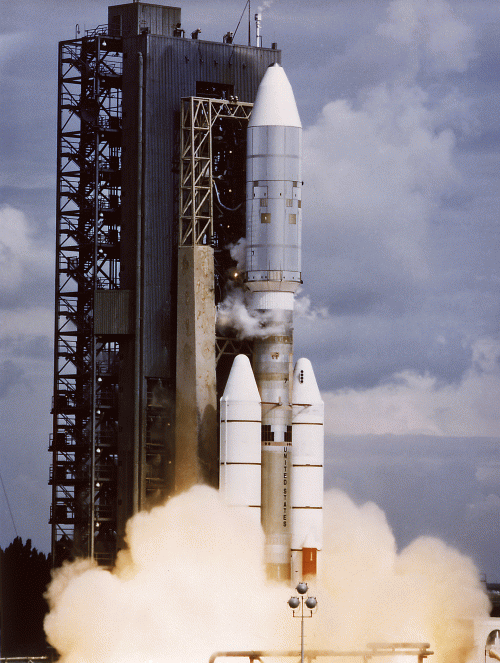 — Mode of access: http://ru.wikipedia.org/wiki/%D0%A4%D0%B0%D0%B9%D0%BB:Titan_3E_Centaur_launches_Voyager_2.jpg. 11. Вояджер-1. — Mode of access: http://ru.wikipedia.org/wiki/%D0%92%D0%BE%D1%8F%D0%B4%D0%B6%D0%B5%D1%80-1. 12. Вояджер-2. — Mode of access: http://ru.wikipedia.org/wiki/%D0%92%D0%BE%D1%8F%D0%B4%D0%B6%D0%B5%D1%80-2. 13. Золотая пластинка «Вояджера». — Mode of access: http://ru.wikipedia.org/wiki/%D0%97%D0%BE%D0%BB%D0%BE%D1%82%D0%B0%D1%8F_%D0%BF%D0%BB%D0%B0%D1%81%D1%82%D0%B8%D0%BD%D0%BA%D0%B0_%C2%AB%D0%92%D0%BE%D1%8F%D0%B4%D0%B6%D0%B5%D1%80%D0%B0%C2%BB. 14. 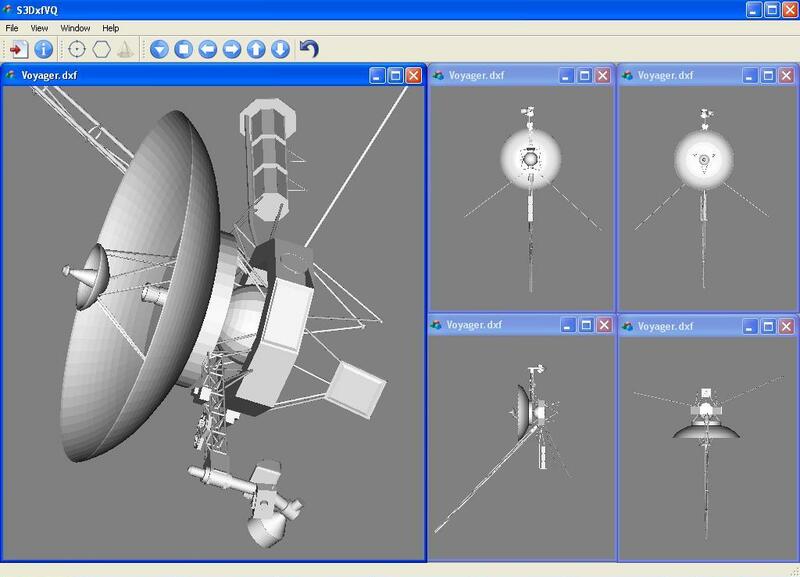 File:Voyager1 Space simulator.gif. — Mode of access: http://en.wikipedia.org/wiki/File:Voyager1_Space_simulator.gif. 15. S3DxfVQ v.2.1 – Sample 3-dimensional Dxf-file Viewer based on Qt, Copyright (C) Vadym Shvachko. — Mode of access: http://shvachko.net/?page_id=2110. 16. Angelo, Joseph A. Robot spacecraft / Joseph A. Angelo, Jr. – New York: Facts On File, Inc., 2007. – 306 p. – ISBN 0-8160-5773-7. 1 This file is in the public domain because it was created by NASA. 2 Executable codes (freeware) for Windows and Ubuntu Linux operating systems are ready for downloading from web-site of FOP Vadym Shvachko.